Lake Michigan fishing at its finest. Chinook and Coho Salmon along with Rainbow, Brown and Lake Trout out of Port Washington, Wisconsin. Coast Guard Inspected boat. 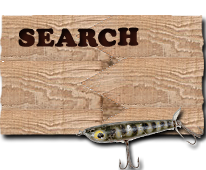 All fishing equipment and tackle furnished. Fish are cleaned and bagged for your convenience. Capt. Roy has 31 years experience fishing Lake Michigan. Our dock is located in easy reach of motels and restaurants in Port Washington. For the joy of Lake Michigan fishing come aboard and fish with the Flying "R" Charters.